Test number three. I hope it can be useful ( there is the Italian translation for my pupils with special educational needs). 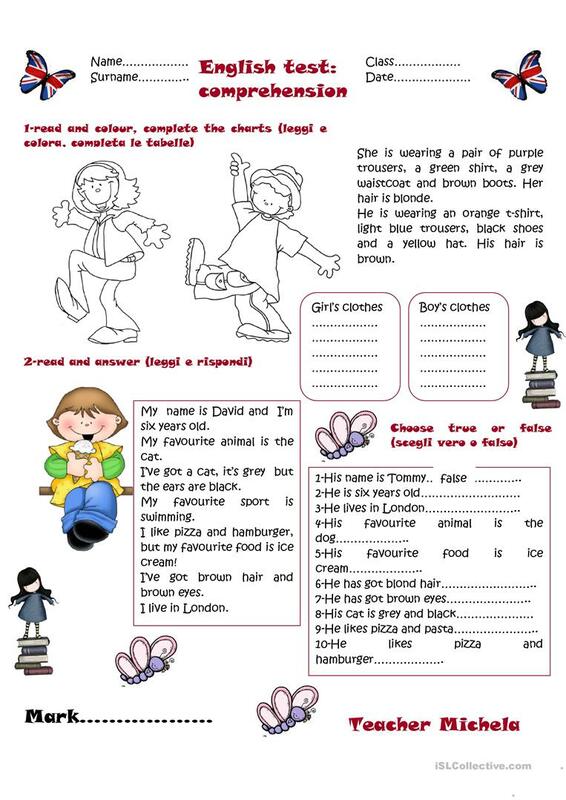 The above downloadable handout is meant for high school students, elementary school students and students with special educational needs, learning difficulties, e.g. dyslexia at Elementary (A1) and Pre-intermediate (A2) level. It is excellent for improving your pupils' Reading and Writing skills. It is focused on the topic and words of Describing people.